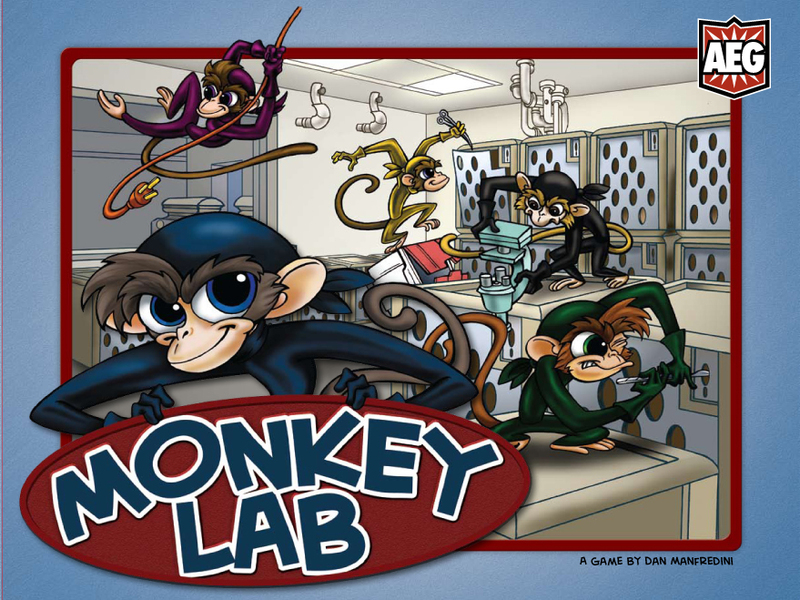 Monkey Lab was published in 2009 by AEG. As former lab monkeys, players cooperate and compete to free imprisoned monkeys from a well-guarded testing facility. Of course, since the monkeys don’t have keys, they must use their creativity and the items found around the lab to pick, pry, and smash the cages open. The more monkeys you rescue, the more reward you receive.